Now more than ever, consumers are searching for Banks and Credit Unions who offer eBills and Bill Pay solutions. Managing and paying bills is cumbersome task, a disjointed, and highly frictional experience for many consumers. Bills come via different delivery methods; in the mail, via emails, directly on biller websites, etc. and tracking and managing these bills in different locations leads to missed or late payments. As a result, consumers are looking for a one-stop hub to see, manage and pay all their bills. If you’re a bank or credit union, implementing eBills within your digital banking experience (online or mobile) creates many benefits for both your financial institution and your customers/members. When consumers have the convenience of seeing their PDF ebills within their online digital banking experience, they spend more time logged into their online banking session. This creates opportunity for higher retention and engagement, cross-sell opportunities and bill pay revenue, ultimately leading to profitability for your bank and credit union. People who receive electronic bills to their digital banking account, are less likely to move their accounts to another financial institution than the average consumer. A Forrester Research Inc. report found that over a five-year period, these account holders generate 140% more profits. Forrester estimated that customers who view three or more bills online a month are almost six times less likely to leave the bank than the average customer, purchase 66% more banking products, and their account balances are typically 121% higher. With the data that is being aggregated from eBills such as Amount Dues, Statement Closing Balances and Interest Rates, financial institutions can leverage this data to cross-sell their other banking products by offering credit cards, loans and mortgages with lower interest rates. By displaying the high interest rates and high balances your customers/members are paying on their credit cards and loans from other vendors, you can display analytics comparing your products showing your lower interest rates, the amount of money that can be saved and the number of payments that can be reduced by your customer/members by switching over to your bank/credit union credit card and loan products. By offering ebills on your digital banking experience your account holders are more likely to want to pay their bills directly on your digital application whether that be online or mobile. This could create revenue for your Financial Institution. By offering a credit card direct pay solution on your digital banking platform, your customers/members can pay their bills directly on your site by using your bank/credit union issued credit card. The interchange fee earnings with a current average rate of 1.75% per payment transaction, then goes directly to the host bank/credit union. This turns Bill Pay from a cost center to a profit center. 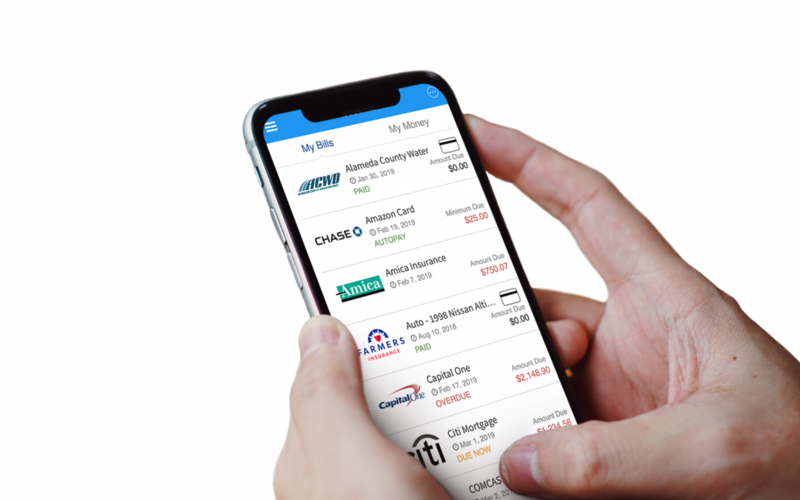 Consumers are continuously logging into their banking accounts to view their accounts balances and are simultaneously logging into their biller sites to view their due bill balances and pay their bills. Banks and Credit Unions have the power to offer a one-stop hub for their banking and billing needs, leading to overall financial wellness for their customers/members. Accessing all bills in one place, quickly and securely leads to convenience, organization and enhanced security. Not only can having all bills organized in one place reduce the chances of bills being lost or forgotten which leads to missed and late payments, but customers/members can receive email reminders from their banks/credit unions when their bills are due and also schedule automatic payments so bills are paid on time, which helps consumers maintain good credit. When it comes to payments, most consumers are all about the experience. They want fast, easy and secure payments. Presentation of eBills and bill pay done by banks and credit unions allows for their account holders to consolidate the amount of biller websites they visit and methods they use to pay their bills. This in turn streamlines their bill pay experience and simplifies their financial life. Now is the time for Banks and Credit Unions to leverage the growing need for eBill and Bill Pay technology to enhance their customer/member experience. Finovera, founded in 2012, set out to end the disjointed experience consumers have when receiving, managing and paying bills in a multitude of locations. Contact us today to learn more about how your bank or credit union can offer its account holders the most powerful digital bill management tool and platform.